Rather than taking the Desert Highway from north to south, we opted for the slower but more scenic King’s Highway. An ancient trade route that was once used by merchants and crusaders, it passes through many of the country’s historically significant sights and ruins. 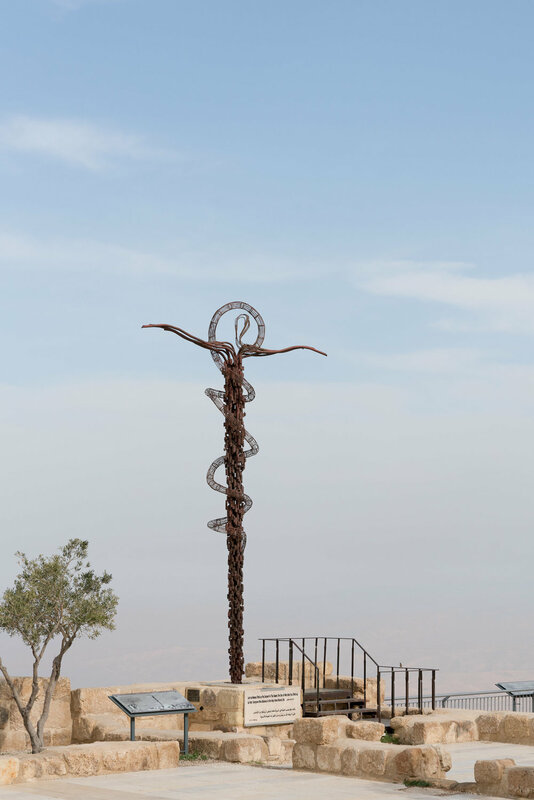 Mount Nebo: Our first stop is where Moses stood looking at the Promised Land. 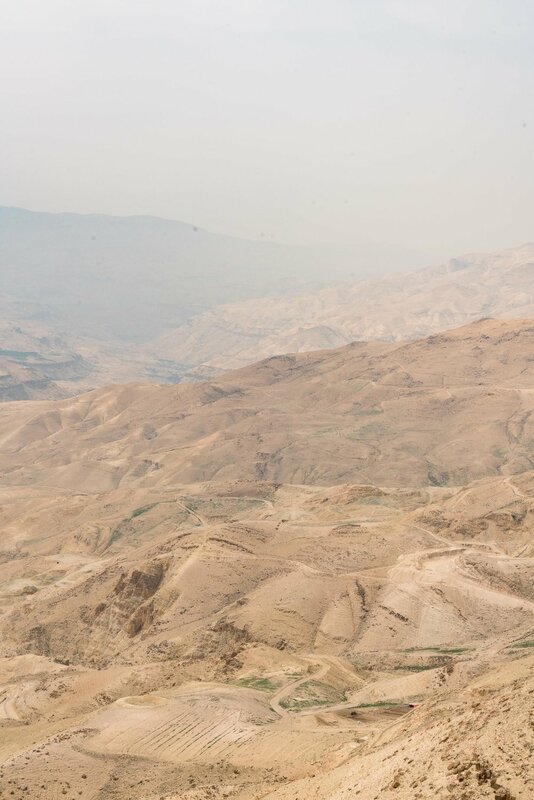 The hilltop overlooks the river valley and the Dead Sea. On a clear day, you can see as far as Jerusalem and Jericho. Umm ar-Rasas: We made a small detour to an archeological site dating back to the Bronze Age. Of particular importance is the mosaic floor of the Church of St. Stephen. 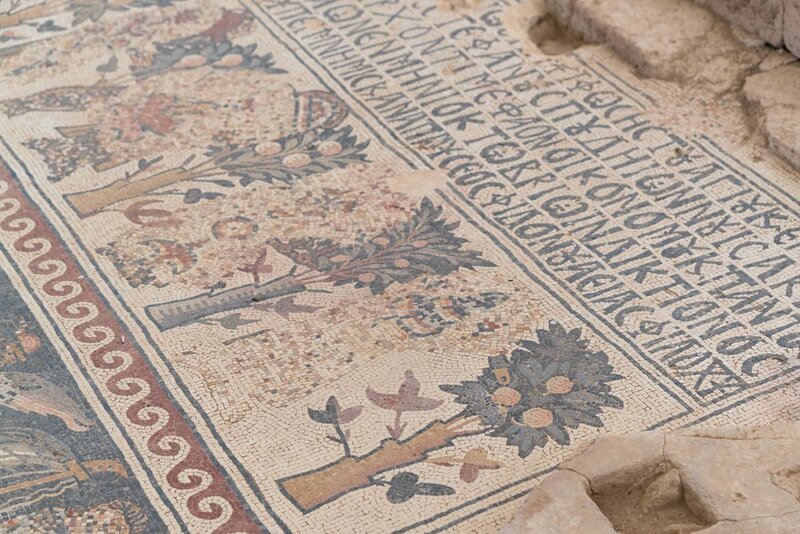 It is the largest mosaic in Jordan and very well-preserved. 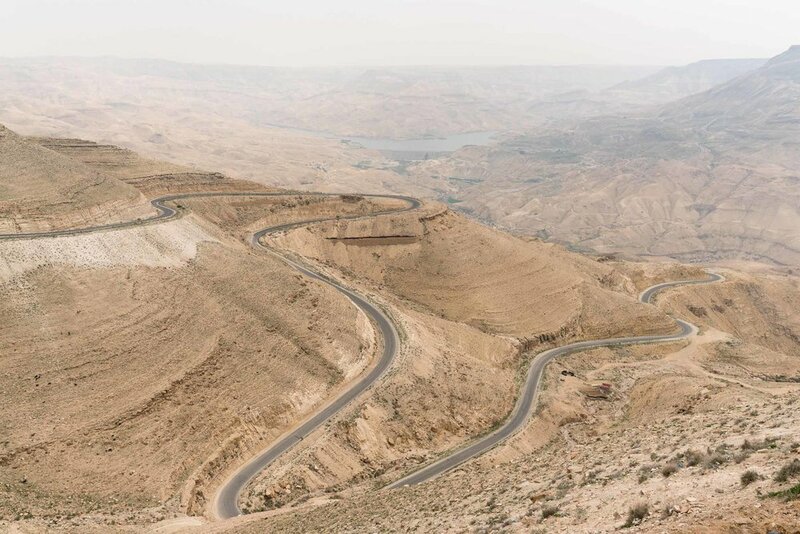 Wadi Mujib: Back on the highway, the road runs along the ridge of Wadi Mujib, the Grand Canyon of Jordan. From above you see the highway going down the valley below and back up again. We would return at the end of the trip on the other side of the wadi along the Dead Sea coast. 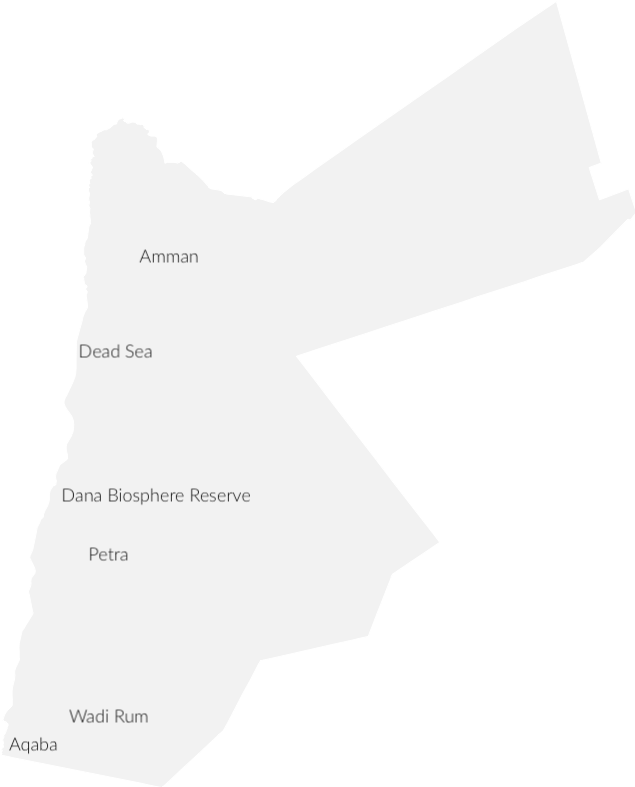 Kerak and Shobak Castles: There are quite a few crusader castles in Jordan. The largest one is Kerak Castle. There is another less excavated one, Shobak Castle, located after Dana and before Petra. Dana: We finally reached Dana, a small stone village on the edge of the Dana Biosphere Reserve. We stayed here the first night and the next day did a five-hour hike down the valley along the Wadi Dana trail to Feynan. Petra: The King’s Highway ends shortly after Petra, an ancient city built by the Nabataeans. Once a thriving city thousands of years ago, it eventually fell into decline and was abandoned. 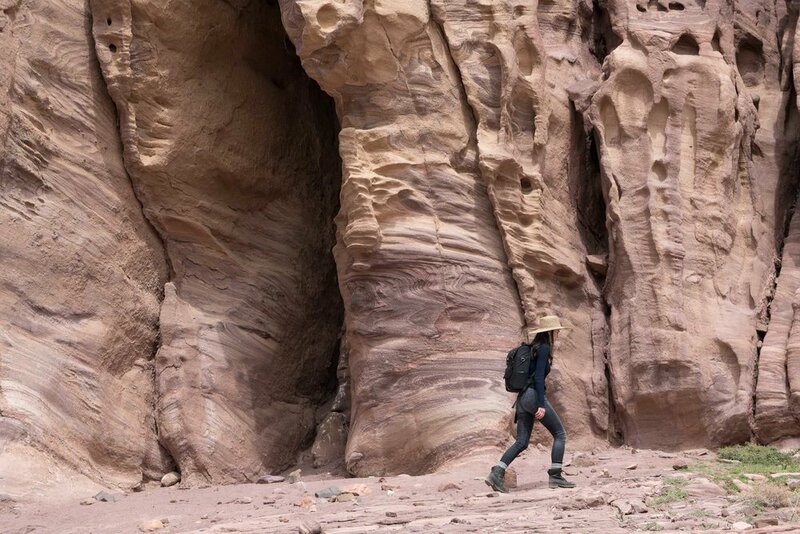 Petra was lost to the rest of the world until it was rediscovered by a Swiss explorer in 1812. 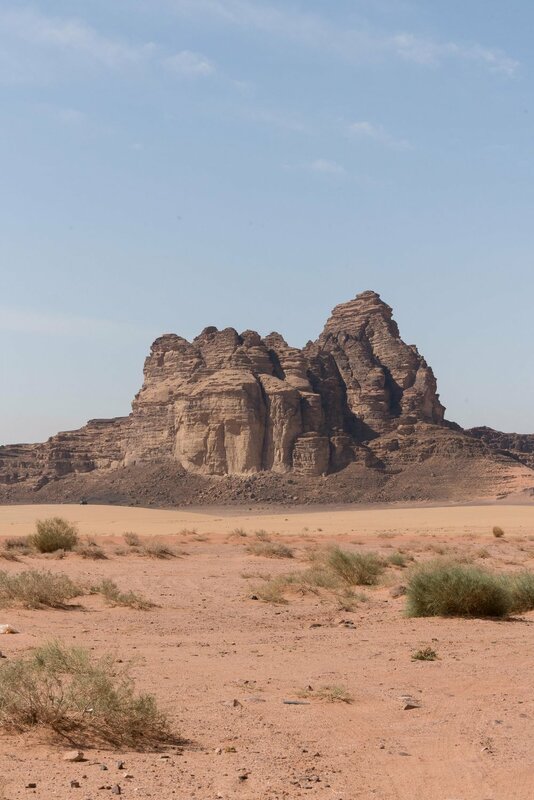 After the King’s Highway, we continued south on a more modern route towards Wadi Rum. 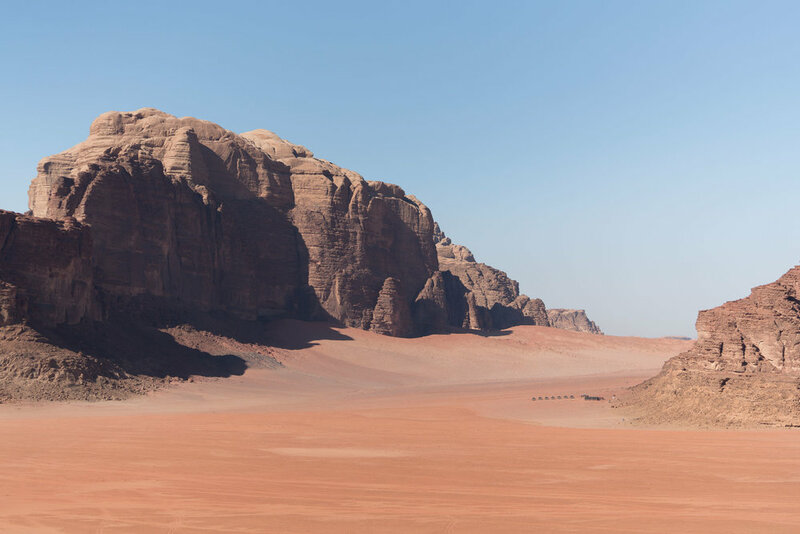 It is a desert valley surrounded by sandstone and granite mountains. We passed Aqaba and took the Dead Sea highway to head back north along the coast. We ended our trip floating in the Dead Sea and relaxing in the Ma’in hot springs.